Almost every computer program needs to send data out into the real world. An output could be switching on or off a light, sending some work to a printer or sending some sound to a speaker. Most often though, output is displaying something on a screen. Information is the stuff that gets sent out: it can be text, pictures, sound or whatever your program deals with. 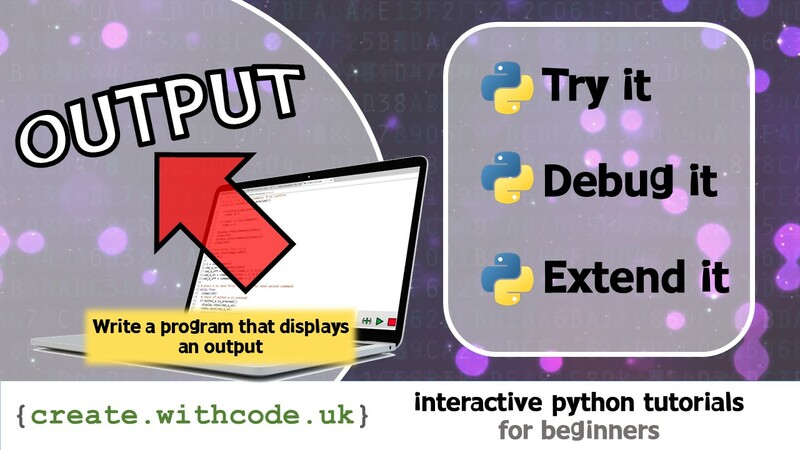 We’re going to learn how to write python code that will display text on a screen. 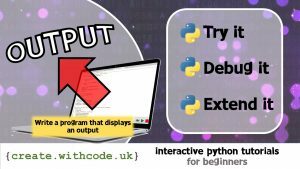 Key point: To display text in python, you use the print function. On the next page you’ll get some code examples that you can try out for yourself.